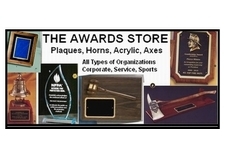 Awards with a purpose are viewed over and over on a daily basis. Clocks and desk sets with a firefighting theme. maroon or black velvet, quartz clock, and bronze tone fireman head. Measures 13" x 23 1/2" Price includes engraving. 12" x 4" x 6" (PRICE INCLUDES ENGRAVING). Cross clock quartz clock and The Bravest casting. Measures 18" x 12"
flame effect. Measures 12" x 15". Cross quartz clock. Measures 18" x 12". guarantee. Measures 8" x 4" x 6".